Physiologists tell us that there are four general dimensions of behavioral styles; decisiveness, interactive, stabilizing and cautiousness. Part of what makes each person an individual is their unique combination of these four dimensions of behavior. 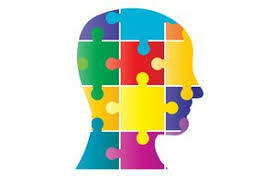 Those behavioral styles can be analyzed using a DISC Assessment. Although there are many sources for DISC Assessment, our experience has shown that the most effective is that administered by Innermetrix Corp. Participants do an online exercise and the resulting report is reviewed by a trained facilitator. The facilitator will then discuss the results with the participant and suggest how these insights may be used to achieve greater success. Who in a group might make excellent team leaders? Who will bring enthusiasm and optimism to a project? Who will provide a high degree of accuracy to project data? Who may have the best characteristics to be a great supervisor? Who might best be able to develop operating procedures to support a complex project? Who is going to resist change and have a lower sense of urgency? What is the best way to communicate with a particular individual? We have often used a DISC analysis with a team within an organization to do constructive team building, but we have also conducted a workshop for groups at an annual meeting or conference. In the latter case, the goal is expose the group to the concept and show some practical applications on the information obtained. Prior to the session, the participants are asked to complete an on-line assessment. At the session, the individual assessments are distributed to the participants and a presentation is made by the facilitator on the information contained in the report. The group is then subdivided into smaller groups who are asked to discuss what type of behavioral style is best suited for a given situation. For example; what style will make the best leader during a time of change? The results of those discussions are then shared with the other groups. This behavioral style involves a preference for problem solving and getting results. Individuals exhibiting this style tend to be extroverts. Those who rank highly in this area have a clear picture in their mind of what results they want. Their actions and messages are design to promote their ideas and get others to follow. They are the drivers of change. Those who rank lower in this category tend to solve problems in a more deliberate, controlled, and organized manner. One of our acquaintances is the owner of a one of the finest restaurants in the area. He was trained in France and has several decades of experience in the business. He prepares the menus, develops the recipes, managers the kitchen, supervises the wait staff, and greets the customers. He is very good at what he does, but the entire operation is a reflection of his vision, with only a little involvement from others. People who exhibit this behavioral style have a high preference for interacting with others and showing emotion. They also tend to be extroverts. They want to shape and mold events and have an active voice in the process. Their actions and messages are designed to promote the idea and getting others to support, all the time working through people. There is a great interest in people, interacting with them, understanding them and being understood by others. Like those who are decisive. The how and the details are not as important as the big picture they want others to see. Those who rank lower in this category interface with new people in a more controlled, quiet, and reserved manner. These people are not to be found in the corner at a social function. In fact, they may be the ones who approach those in the corner and draw them out. They often characterize themselves by telling others that they would talk to a rock. They are the life of the party and usually the center of attention. Those within this behavioral style tend to want to pace things in their environment. They will not be found racing around jumping from one task to another. They tend to be passive and introverted. They maintain stability within themselves and the situation. Their interest is in the how and why. When communicating with them, address specifics. Don’t expect them to champion radical change without considerable thought. Those who rank lower in stability will tend to be more flexible, dynamic, and able to survive in a more unstructured work environment. When working with this personality style, change is always a difficult issue. Be slow and deliberate in your communication. Be aware of taking them out of their comfort zone. People with this predominate style tend to be task oriented. They like consistent repetitive assignments. We worked with a book keeper who had developed her method of record keeping through many years of experience. Our attempt to incorporate a new more efficient system took much conversation and persistence to fully implement. People who exhibit this behavioral style have a preference for established protocol and standards. They also tend to be passive and introverted. Their favorite question is why and ask for supportive data to back up a decision to change. They like to work by the book and find difficulty when there may be a need to improvise. In working with one small company they found it difficult to understand why some of their employees had a passion for the work and others left very shortly after being hired. The work was mostly non-repetitive and only could be learned over time through experience. There was no procedure manual or cookbook. Those who stayed loved the challenge and flexibility. Those who didn’t were unable to adapt.